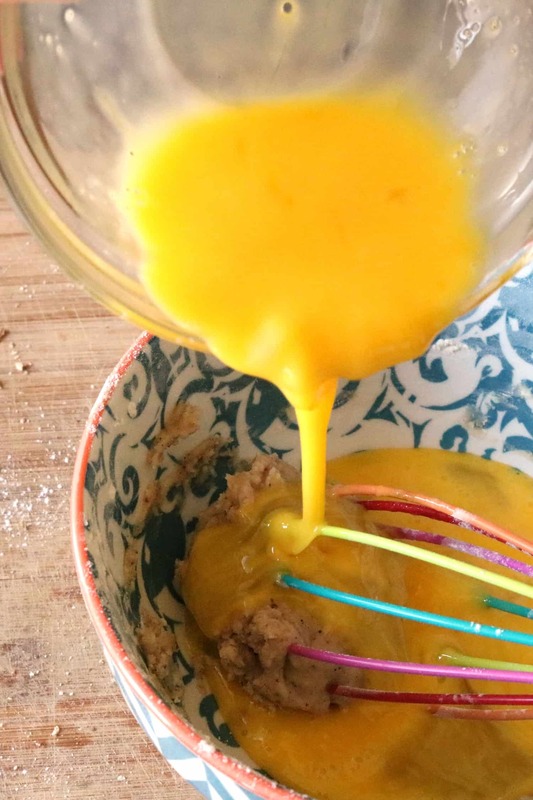 There is no comfort food like an old fashioned bread pudding recipe. 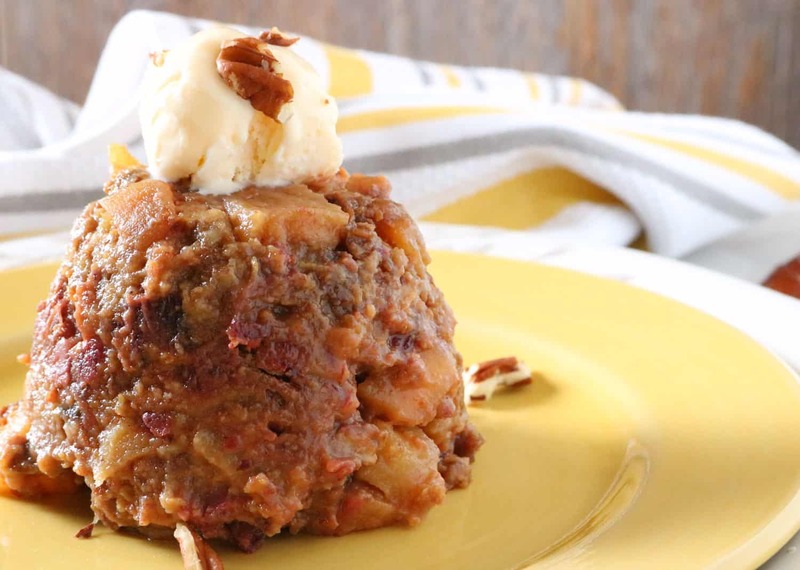 This easy slow cooker version of bread pudding will have you enjoying the sweet scent of apples simmering in butter and nutmeg all afternoon. You might find yourself sneaking a taste like you did when you were a kid and Grandma was making apple pie during the holidays. We won’t blame you, it’s too good to resist. 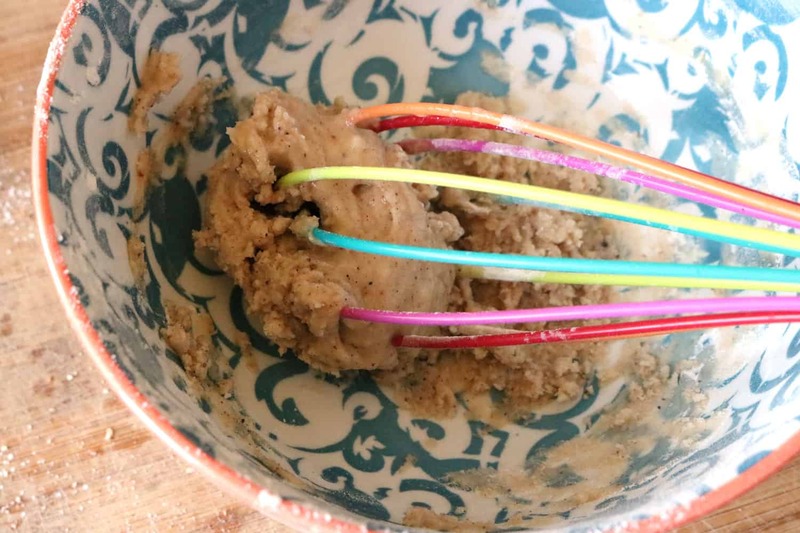 Set it and forget it: Grandma may not have used a slow cooker when she was making her bread pudding, but that doesn’t have to stop you! The slow cooker is a fantastic tool for home cooking when life gets crazy. 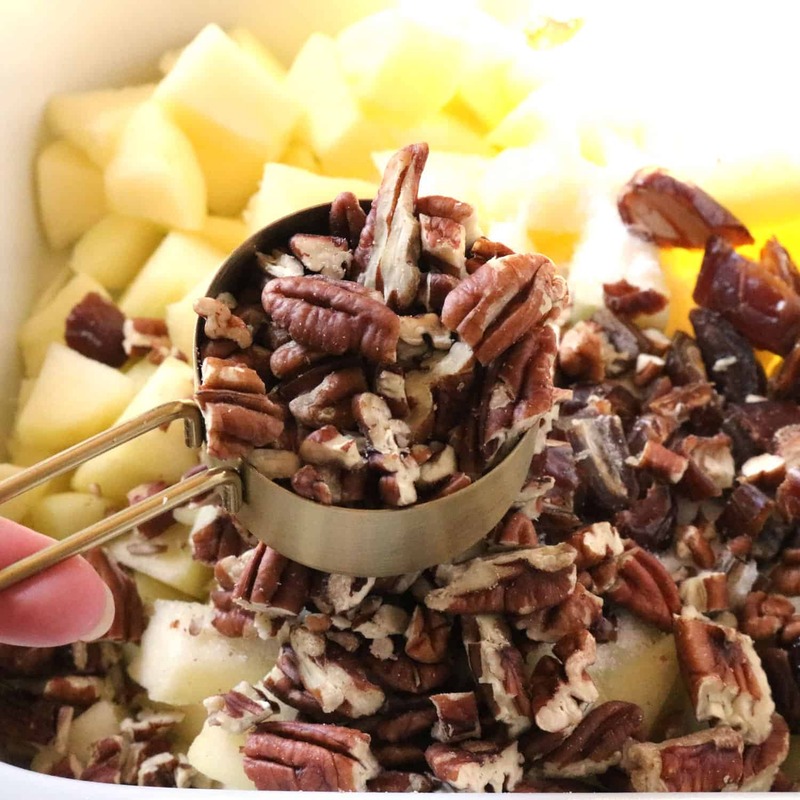 It tastes like home: Slow-cooking apples, nutmeg, butter, and pecans is a recipe for memory-making smells of home baked goodness. 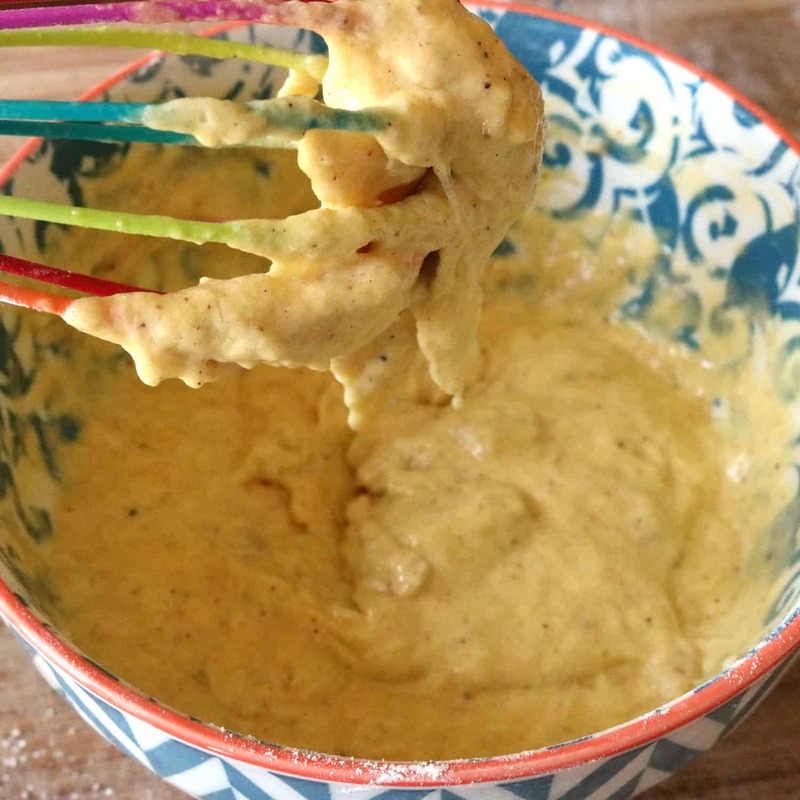 Throw this in to cook before a busy afternoon of activities and the whole family will ask “What’s cooking?” when they come through that door. Buy Pitted Dates: You can purchase dates with pits or already pitted. 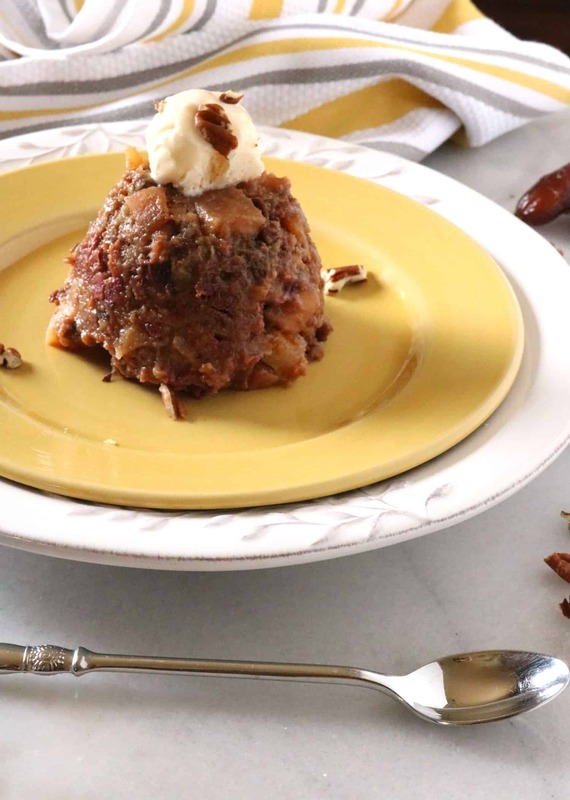 If you want to get this bread pudding recipe in the slow cooker quickly and get on with your day, make sure you get pitted dates. You’ll just have to give them a quick dice and throw them in. 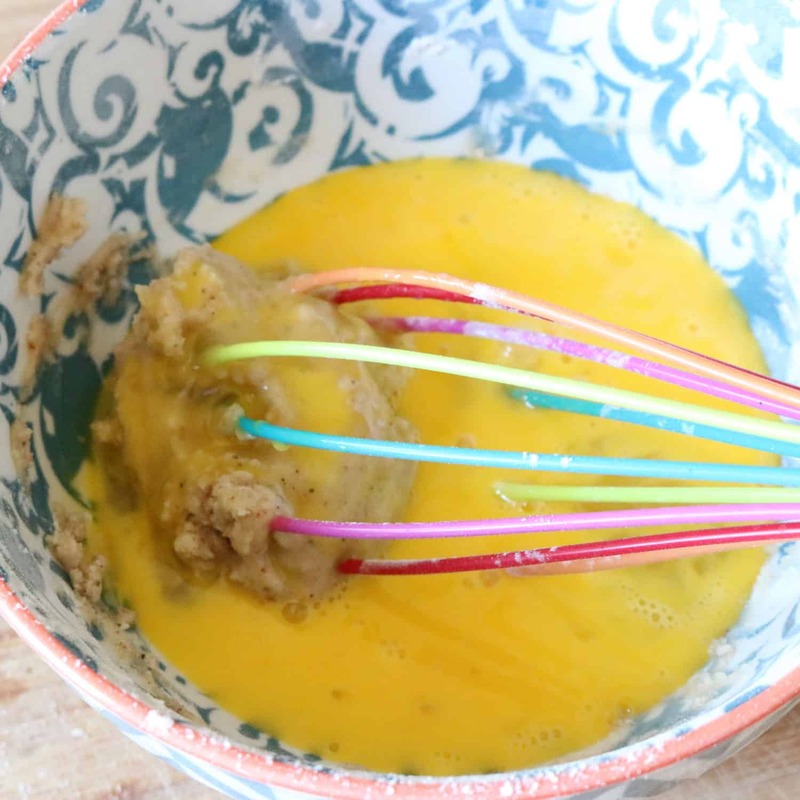 One of the easiest ways to quickly prep your apples for this apple bread pudding recipe is to use a Y-shaped peeler. This type of peeler is easy to handle and quickly process the apples you’ll need. 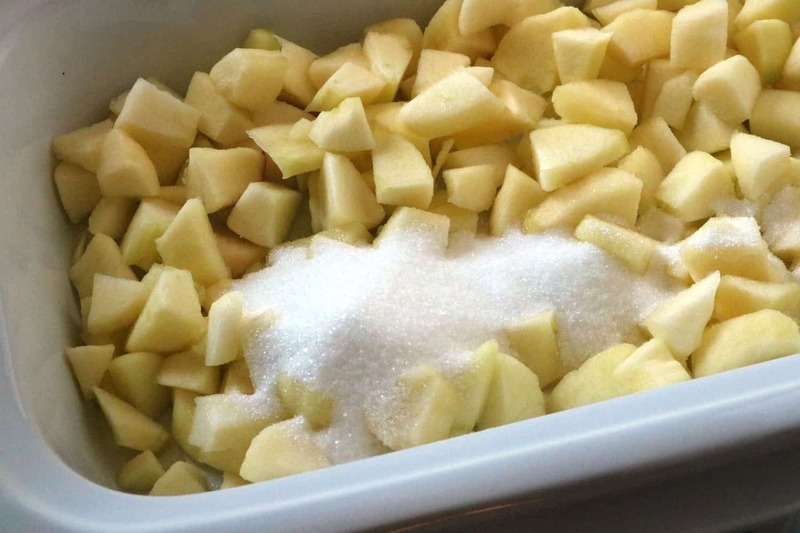 Peel the rest of the apple top-to-bottom in strips. This bread pudding recipe is best served warm and it can certainly stand alone. Just like apple pie though, a scoop of classic vanilla ice-cream on the side is a crowd pleaser. 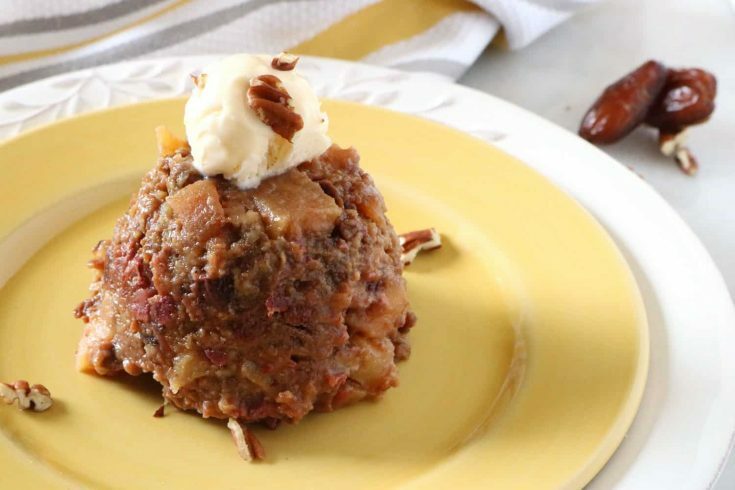 Slow cooker bread pudding also travels easily, so plan to bring it with you next time you need dessert for a hungry crowd. 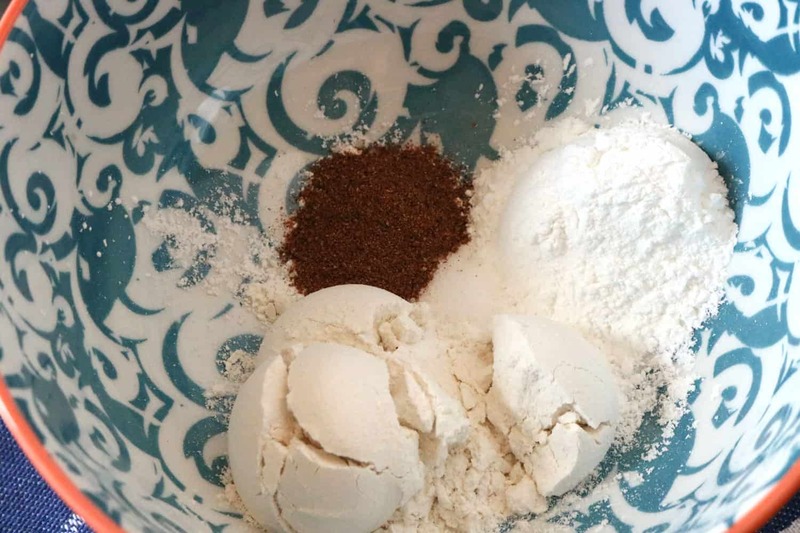 This may not be your grandmother’s old fashioned bread pudding recipe, but it will put the same kind of smiles on people’s faces when they smell it cooking. The easy prep is just a bonus for you. Step #1: Spray a slow cooker crock with non-stick cooking spray. If you have one, a casserole slow cooker is ideal. 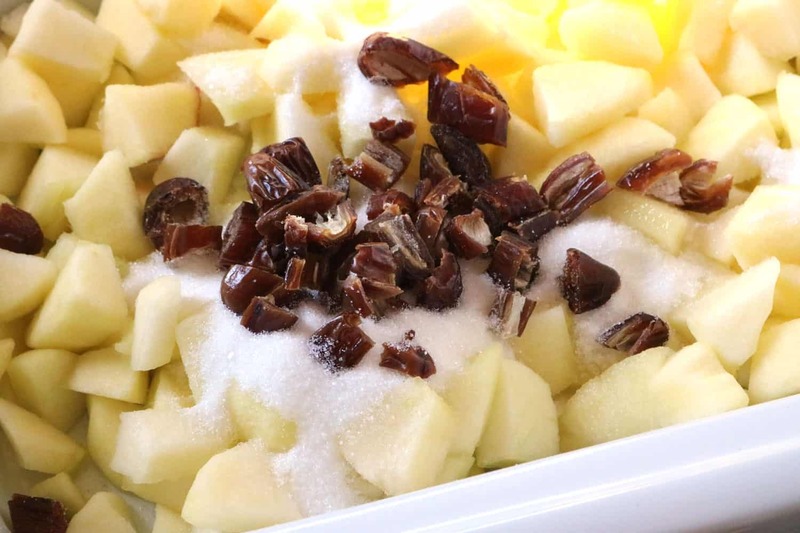 Step #2: Add apples, sugar, dates and pecans to the slow cooker and stir. 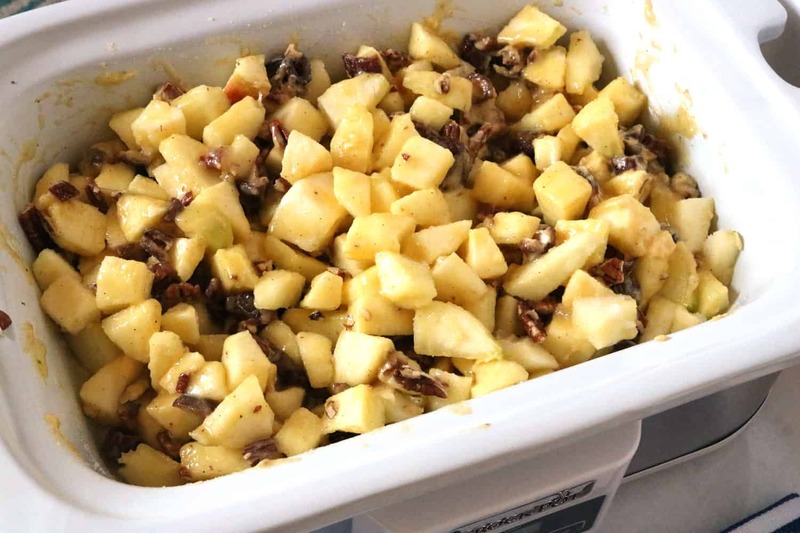 Step #3: In a separate bowl, mix together remaining ingredients and then stir into the apple mixture. Step #4: Cook in slow cooker on low for 3 to 4 hours. 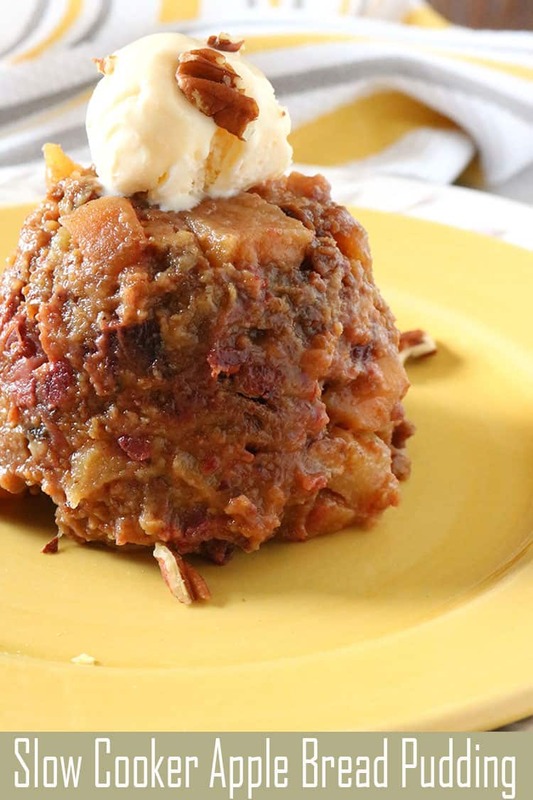 This slow cooker version of apple bread pudding is quick, easy, warm, and delicious. Spray a slow cooker crock with non-stick cooking spray. If you have one, a casserole slow cooker is ideal. 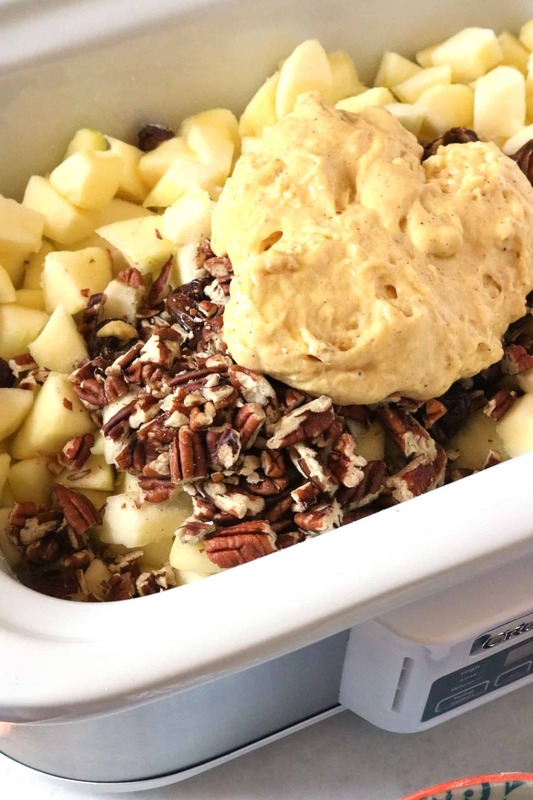 Add apples, sugar, dates and pecans to the slow cooker and stir. 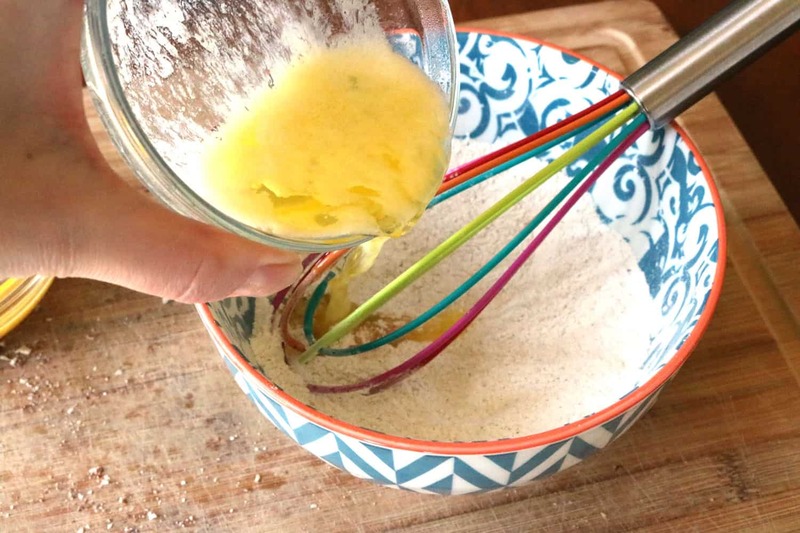 In a separate bowl, mix together remaining ingredients and then stir into the apple mixture. Cook in slow cooker on low for 3 to 4 hours. Serve warm.